Passed in 2014, SB57 will begin to affect certain plans on the Utah insurance market on January 1, 2016. Does that mean that you'll be covered? Insurance is either state- or federally-regulated. Self-funded plans (used by some large employers) are subject to federal rules, rather than state rules. Federal rules do not currently require autism coverage. Employers who self-fund can voluntarily choose to cover autism. State-regulated plans depend on the state where they are issued. A company that operates in multiple states may purchase its health plan in another state and provide coverage for its Utah employees through that plan. Georgia just became the 41st state to enact an autism coverage law. Utah’s law requires plans on its individual and large group markets to provide a specified minimum level of coverage. Small group plans are not affected. Medicaid is a federally funded healthcare program for families and individuals with low income and limited resources. Beginning sometime around October 2015, Medicaid will cover autism for Utahns up to age 21 who meet the income/resource qualifications. It's expected that more than 4,000 Utah youth will be able to receive services. Utah's Medicaid autism waiver program helped a lot of kids - hundreds. Kids currently on the waiver will be able to stay on it until they age out, but the program will not be accepting new enrollees. The UAC will host a public meeting in September to discuss the coming changes and what Utahns need to know. If you'd like to receive notice, please sign up for our mailing list by clicking here. 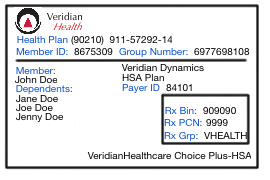 The only way to know if your private health plan covers autism (or will) is to contact your plan administrator. If you find out that your plan is self-funded and won't cover autism, you might be able to change that. If you're interested in exploring that possibility, send us an e-mail at utahautismcoalition at gmail.com.